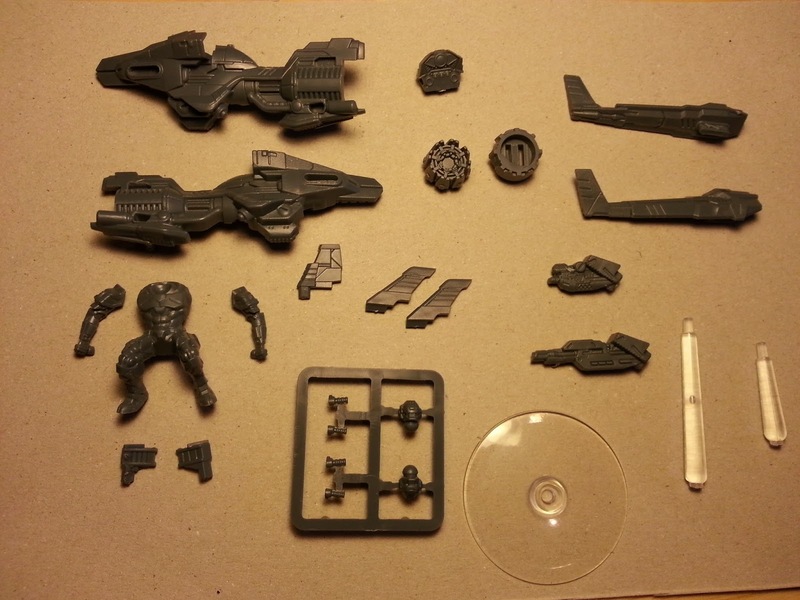 One of the most teased kit of the last Kickstarter was the enforcer jetbike, and here it is! I'm not sure how the package will change in the retail version but the one I got came in a plastic bag with all the pieces already pre-cut. ... 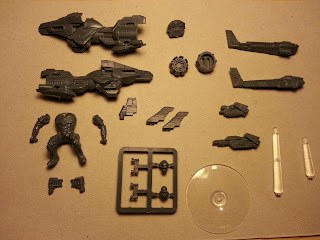 But one could easily swap some pieces from the enforcers sprue and add some minor changes here and there. The kit contains also a couple of transparent pegs of different heights (shown below).